Not to be confused with the Pachanga Boys, Pachangastorm are another German duo who, much like their similar namesakes, infuse their productions with a rich sense of human emotion and a dollop of soul. On their debut for the Munich-based Love Harder label, these qualities emphatically come to the top, as they introduce as to a talent that’s clearly well versed in quality timbres. Up first is the original, ‘Miss You’, a melancholic journey that’s made noteworthy by its glistening chords and an overall positive vibe that hangs throughout. A well heeled track that’s been scrupulously produced, it also features a catchy and sprightly bassline that’ll transport the listener straight to the heart of the Balearics. The first of the remixes comes from MidKnights, whose ‘Party like it’s 95’ dub is an entirely different beast. Much like its title suggests, it’s laden with old-school facets, but it’s the drumwork and the simmering snares that mark it out as a track of distinction. 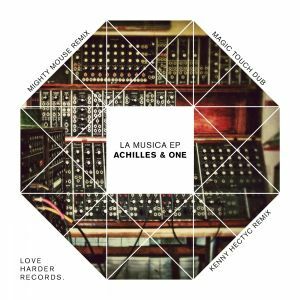 Alex Mallios goes all epic in his search for kicks on his lavish, up-tempo gathering of sounds, before Achilles & One see us out with a remix that’s as subtle as it is beguiling and curious. An introspective way with which to sign off a pretty darn excellent EP.